Visit Shalimar Garden with Haririi. We offer you best tourism package for your Tour to Shalimar Garden. The Shalimar Garden is one of the most popular parks in Lahore, built by the Mughal Emperor Shah Jahan in 1642. 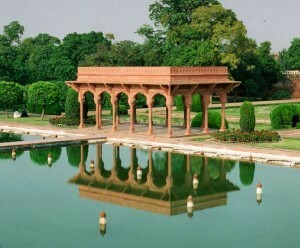 You will find beautiful range of fountains in Shalimar Garden and a great reflection of Mughal architecture. Half day Jehangir & Noorjehan Tomb With Shalimar Garden. First you drive only 10 Kilometers outside Lahore to visit Jahangir’s Tomb in Lahore. It is a gigantic building with beautiful garden, Minarets and Arches. After that you go to Noorjehan’s (wife of Jehangir) tomb which also a delightful architecture of Mughal culture. Later on visit the Shalimar garden which is the romantic garden of the Mughals.